Be sure to follow me on Pinterest and never miss a mouthwatering recipe. 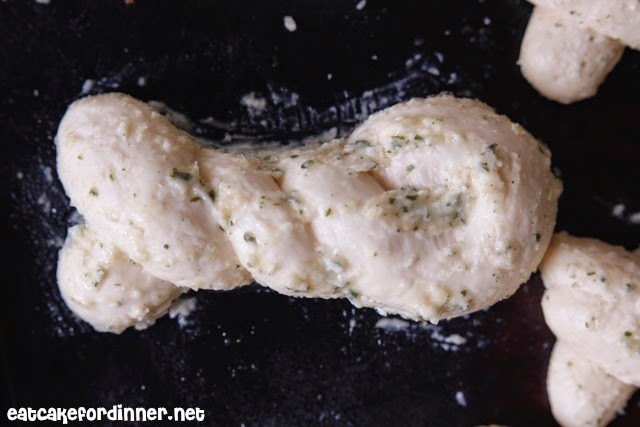 These breadtwists were a last minute idea that ended up being one of the best garlic breadtwists, especially when dipped in creamy white pasta sauce (recipe coming soon). I just picked up a bag of Rhodes Frozen Dinner Rolls at the store with 72 rolls in the package, so consider yourself forewarned that there will be a lot of recipes coming using that delicious roll dough. Guess what I realized? You can thaw the dough in the fridge. Did you know that? It takes 8-12 hours to thaw that way. I can get out the frozen dough and refrigerate it overnight and it is ready to go when I wake up. 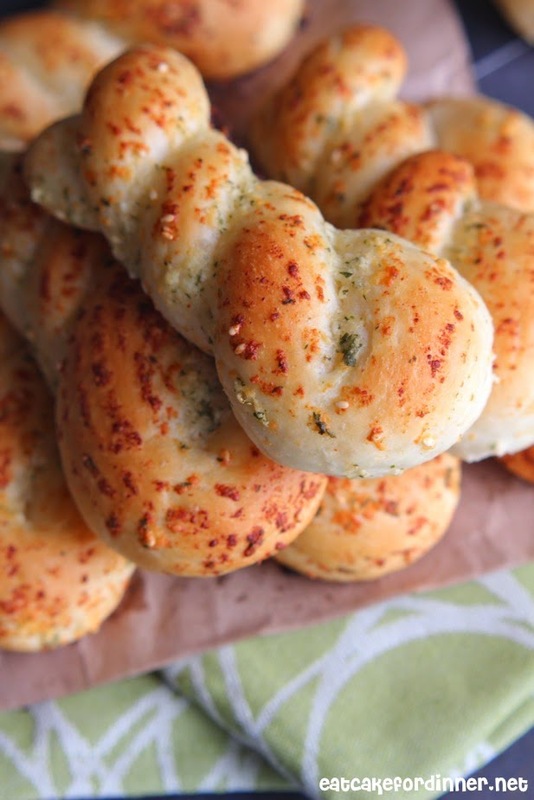 Or, I can even get frozen rolls out before work and let them thaw in the fridge until I'm home and ready make something yummy for dinner, like Shortcut Calzones or these breadtwists. 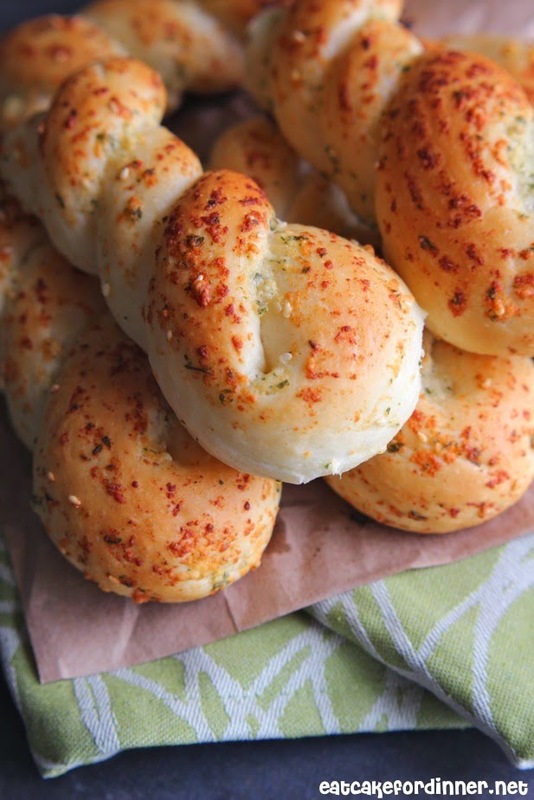 These breadtwists are so easy to make. While they are baking, your house will smell like an Italian Restaurant . . . OMG - one of the BEST SMELLS EVER. You are going to love this recipe. I baked these on a dark sheet pan, so the bottom got crisp while the inside stayed soft and chewy. Dip them in any kind of pasta sauce, in soup or just enjoy them plain. I will be doing all three!! 1 tsp. sesame seeds, opt. Spray counter lightly with non-stick cooking spray. Roll each dinner roll into a 12-14 inch rope. Fold in half and twist together. Mix together remaining ingredients and brush top and sides of each twist liberally with mixture. Place twists onto a greased baking sheet, leaving plenty of room between each twist. Spray plastic wrap with cooking spray and loosely cover rolls. Allow to rise until doubled. Remove plastic wrap and bake at 375 degrees for 12-13 minutes or until golden brown. Yum! I just love fresh baked bread. No when you add all this goodness they are even better. These looks amazing! I love when the bottoms get crispy. I can't wait to try these! 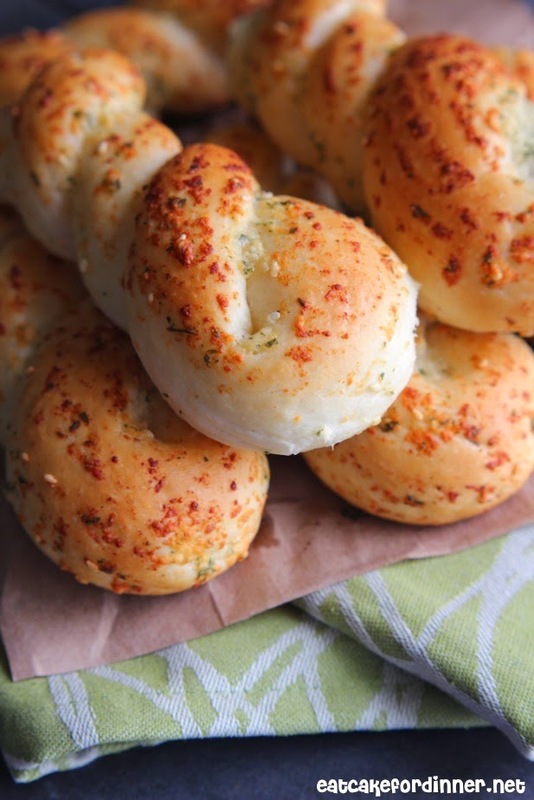 Love the Rhodes rolls for breadsticks - so light and fluffy. We had a Rhodes representative come for a women's activity and taught us a ton of stuff. It was all wonderful!